Elizabeth Stamatina "Tina" Fey is a writer, actress, comedian and producer of American origin. Tina Fey is popular for the 'Saturday Night' series, a sketch comedy on NBC, the '30 Rock' series and 'Unbreakable Kimmy Schmidt'. Fey is the youngest recepient of the “Mark Twain Prize for American Humour” award. Her autobiography, “Bossypants” was The New York Times Best Seller list topper. Fey has been accorded two 'Golden Globe' awards, five 'Screen Actors Guild' awards, eight 'Emmy awards' and four 'Writers Guild of America awards'. 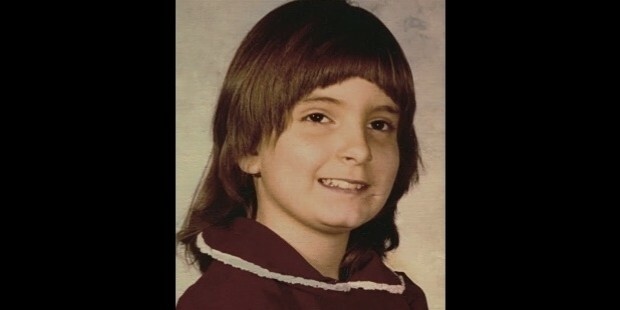 Tina Fey was born on 18th May 1970 in Upper Darby, Pennsylvania, suburban Philadelphia. Her father, Donald Henry Fey was a university grant proposal writer and her mother, Zenobia is into brokerage. Fey grew up watching Second City Television. She was inspired by Catherine O'Hara. Fey studied at the Cardington-Stonehurst Elementary School and the Beverly Hills Middle School. She was an Honours student at Upper Darby High School. Fey was co-editor of The Acorn, the school newspaper. Fey studied acting and play-writing at the University of Virginia. She graduated in Drama. Fey won the “Pettway Prize”. Tina Fey started her career with her performance in “The Second City”. Fey got her major break when she was selected as a writer for NBC's “Saturday Night Live”. She shifted to New York. She made her writing debut with Sally Jessy Raphael's satire. Fey wrote the script for “The View” a morning talk show on ABC. Tina Fey was the first female to be appointed as SNL's head-writer in 1999. She spearheaded the SNL operations and defined its successful second innings. Fey was made the co-anchor of SNL's 'Weekend Update' segment. Fey and the other writers were honoured with the 'Writers Guild of America Award' and the Emmy Award for 'Outstanding Writing for a Variety, Music or Comedy'. Fey joined hands with Rachel Dratch to produce Dratch & Fey, an Off Broadway two-woman show. The production received rave reviewes. Fey ventured into films with “Martin & Orloff”. She debuted as writer and actress with the teen comedy, “Mean Girls” in 2004. Tina Fey created the '30 Rock' for Broadway Video. The premiere episode garnered the highest series ratings. The show bagged the 'Emmy Award' 2007 in the category of 'Outstanding Comedy Series'. 30 Rock is considered one of the prominent landmarks in the history of television. It has 112 Emmy award nominations to its credit. Fey was accorded the Golden Globe, Screen Actors Guild and Emmy awards for “Best Actress in a Comedy Series”. She bagged the Screen Actors Guild Award for 'Best Lead Actress' in 2010. Tina Fey conceptualised and produced 'Unbreakable Kimmy Schmidt' in 2015. Its premeire show was critically acclaimed. Fey was shortlisted for creator/ executive producer of the series and for 'Outstanding Guest Actress in a Comedy Series' in the “Primetime Emmy Awards”. Fey acted in “Baby Mama”. The movie made approximately US$64 million at the box office and was critically acclaimed. Fey did a voice-role in the English version of the animted Japanese film, “Ponyo”. She did a voice-over for the animated Dreamworks film, “Megamind”. The movie is Fey's biggest commercial success. Fey was the narrator for “Monkey Kingdom”,a Disney nature production. 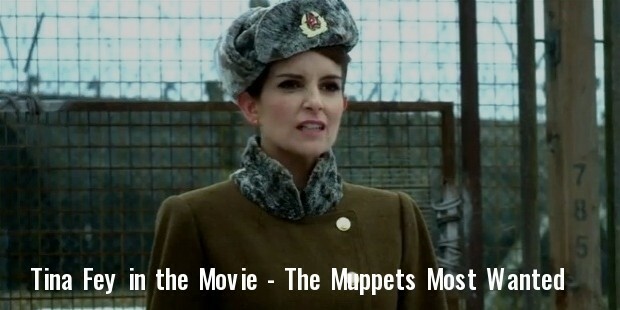 Fey's films; “Mean Girls”, “Date Night”, “Muppets Most Wanted” and “Sisters” have been critically appreciated. Fey tried her hand at 'rapping' with 'Childish Gambino', mixtape Royalty. Fey was a 'visiting judge' for one of the episodes of 'Iron Chef America', a Food Network programme. She has appeared in several American Express and Garnier Nutrisse commercials. Fey's autobiography, “Bossypants” was released in 2015 and topped 'The New York Times' best-seller list. Tina Fey is married to Jeff Richmond, a piano player. Se had met him in 1994. The couple is blessed with two daughters, Alice Zenobia and Penelope Athena. The family resides in New York City. Fey supports several charitable causes; 'Autism Speaks' and 'Mercy Corps'. She aids the 'Love Our Children USA' organization. Fey was the key speaker at the 'Light the Night Walk', benefitting Leukemia & Lymphoma Society. Tina Fey is the youngest recepient of the “Mark Twain Prize for American Humour” award. Her autobiography, “Bossypants” was The New York Times Best Seller list topper. Fey has been accorded two 'Golden Globe' awards, five 'Screen Actors Guild' awards, eight 'Emmy Awards' and four Writers Guild of America Awards'. Fey featured 80 in the list of 'Hot 100' in Maxim magazine. She was declared one among the '50 Most Beautiful People 2003' by People's magazine. Fey was honoured as "The Once and Future Queen" by Entertainment Weekly for their feature on "Women Who Run TV". She was voted as the “AP Entertainer of the Year” by the newspaper editors and broadcast producers of theAssociated Press.